f you keep driving past New York City, away from the blaring lights and sounds you’ll eventually drive past the small town of Nyack, New York. There, at the end of a listless cul-de-sac there stands a two-story rambling affair at the edge of the Hudson River. Inside, a dark history hides within the walls. The house on 1 LaVeta Place had been a boarding house and a private residence since it was built in the early 1900s. When a couple named George and Helen Ackley moved into the house in the early 1960s stories began to circulate around the town of strange goings-on inside the house; otherworldy stories from Ackleys themselves. knockings, doors opening and slamming, and beds shaking violently with no possible explanation. A decade later, the family decided to write about their experiences. 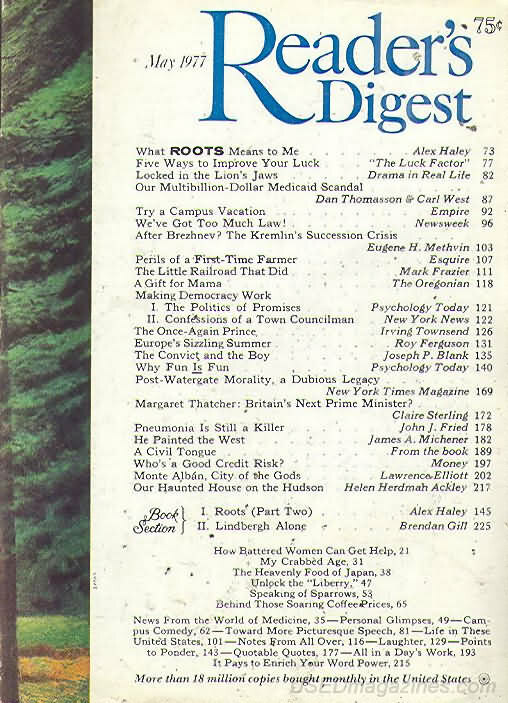 Their article appeared in the May 1977 edition of Reader’s Digest. In an article titled “Our Haunted House on the Hudson” the family described their decade long life amongst the three benevolent spirits they claimed resided on 1 LaVeta Place. Mrs. Ackley said one of the other ghosts would waltz into her daughter’s bedroom. ”We don’t know whether or not she was the one who woke the children up by shaking the bed,” she said. The Ackleys claimed that the spirits would often gift them strange items that would spontaneously appear throughout the house. A man who married into the Ackley family wrote about his knowledge of the paranormal activity in an article titled Ghost Of Nyack: Background about the house. This story deals with the house that my wife, Cynthia, spent her teen years in. The house is situated on the Hudson River at the bottom of a dead end street. It was/is a 5000 sqft Victorian house with 3 levels plus a full basement and Attic. Cynthia’s parents, Helen and George Ackley, bought the house in the late 1960’s. At the time the big Victorian sat vacant and was in disrepair. Neighbor kids told them as the moved in that the house was haunted. It wasn’t until later that the Ackley’s found the truth. The Ghosts and the Ackley’s live at peace with each other. There was never an intentional scare to any of the Ackley’s or their visitors. Nyack sits approximately 20 miles north of New York City on the West bank of the Hudson. Many people of the area know about the haunting of this house. As a matter-of-fact, the Hudson Valley is known for many haunted places. Just straight across the river lays Tarrytown. Just outside of Tarrytown is the legendary Sleepy Hollow. This was made famous by the Washington Irving’s Halloween tale of the Legend of Sleepy Hollow. Many of Irving’s tales are based on legends of the lower Hudson Valley. One ghost would wake my wife up every morning for school by shaking her bed. When spring break came, my wife made a loud announcement before going to sleep that it was spring break, there was no school and she wanted to sleep in. Her bed did NOT shake the next morning. A few of the grandchildren received ‘gifts’ from the ghost in the form of baby rings. All of sudden they just appeared. My wife received a gift of a small silver sugar tong. My wife’s older brother’s wife received coins. While painting the living room Helen saw one of the ghost looking in approval of the color. She always got the feeling that the ghost liked the renovation they had done on the house. I had two personal experiences with the ghosts. They both happened soon after I moved in with my future wife Cynthia and occurred about one month apart. The first happened on Christmas eve. I was home alone due to various activities. I was playing Christmas elf in the living room putting gifts together. It was totally quiet in the house. After a while I kept hearing a muffled conversation coming from the dining room around the wall. I would get up and walk over, and nobody was there. I felt like I was being watched. I had purposely turned on every light in the surrounding rooms. I was getting nervous. Then my future Brother-In-Law suddenly pounded on the door making me jump out of my skin, and the talking stopped. When the house was put on the market, the Stambovsky’s fought to keep their $32,500 deposit after they learned about the house’s paranormal history a bit too late. The Ackley’s and realtor were found to be at fault for not disclosing the ghoulish details about the unwanted amenities. I would love to see this home!